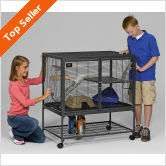 The Ferret Nation 182 double level is the newest ferret cage model in the very popular line of FN cages from MidWest. FREE shipping – Click now! MidWest ferret cages are by far the most popular on the market, with thousands of satisfied owners. These durable cages last for many years and offer all the room your furry friends could ever need. It’s rare to find so many glowing customer reviews for any product but the Ferret Nation 182 gets rave review after rave review from ferret owners just like yourself. 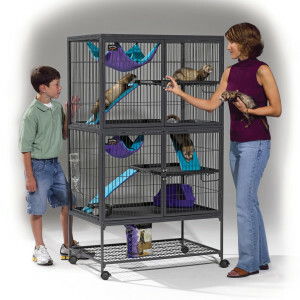 The Ferret Nation double level cage is designed with safety, flexibility, and ease of cleaning in mind. Cheap pet store cages can not only be dangerous but they’re often too small and impossible to get completely clean. All Ferret Nation cages are durable and well-made, manufactured from cold rolled steel. All bars and wire floors and ramps have been meticulously designed and spaced with ferrets in mind. 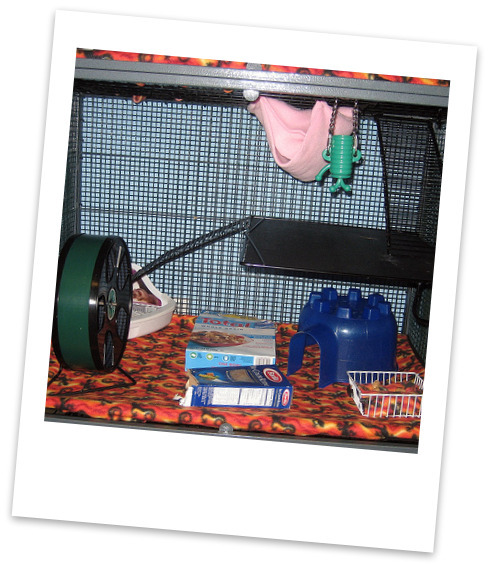 The Ferret Nation double cage has two different levels that can be separated by simply latching one ramp up. This lets you separate ferrets in the same cage if you need to for medical or feeding reasons. Ease of cleaning is where MidWest cages really shine. The double cabinet door design gives quick and easy access to all nooks and crannies and plastic trays and shelf liners slide out for cleaning. The casters on the bottom of all Ferret Nation cages also make it very easy to move it around. Some owners simply roll their Ferret Nations outside when it is cleaning time. The Ferret Nation 182 isn’t the cheapest ferret cage on the market but it is the best value when you factor in durability and ease of cleaning. FN cage owners often cut cleaning time by 50% or more. 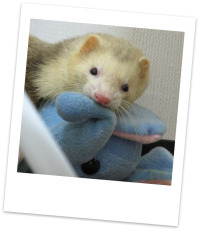 That translates to hundreds of hours of time saved over the years as a ferret owner! Finding a Ferret Nation cage at pet store chains can be difficult as they typically stock cheaper cages. Be sure to check both sites as pricing changes often and factor in shipping costs. Wayfair typically offers free shipping on Ferret Nation cages while shipping at Amazon for ferret cages may or may not be free depending on the merchant.